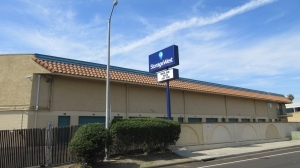 Located only minutes from Route 94, Self Storage Spring Valley offers the utmost in convenience, safety, and affordability! 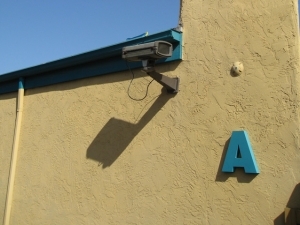 Our state-of-the-art facility is equipped with amenities such as computerized gate access, surveillance camera monitoring, and full-perimeter fencing to ensure your belongings are always safe and completely secure. A large variety of moving and packing supplies are sold on-site to make your move as convenient as possible. We offer a variety of payment options, from month-to-month leases to prepayment plans for no-hassle obligations. No deposit required! Save even more with our 10% Military Discount! 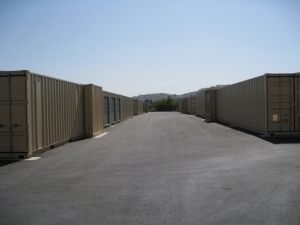 I was referred to two locations, it saved me a lot of time and aggravation since there are so many storage companies. I heard of Sparefoot a person who lives in the Philippines and she works the back end, so when I looked it up, sure enough it was here in the states and the reservations are nicely put together with all the needed information. With all the pricing its a headache to decide bur the property I choose gave me one heck of a deal, it was very hard for anyone to even come near the deal I got. The only compromise I made was, location. The facility is a little off my beaten path but I will not be going there often at all. Jackie greeted me the moment I walked in the office as she was with another customer. She called me by my name which was refreshing. She was friendly knowledgeable & throughal with all aspects of storing my motorhome. Literally descriptions match and it's a great price. 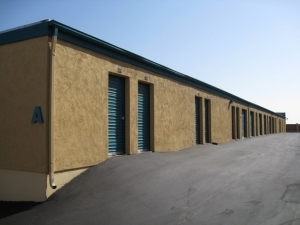 Best value storage space near SD. Excellent customer service by Ronnie, only complaint is that there are no lights in the units. Well priced. Clean facility. Easy access to storage room. The location is very convenient. The on-site manager is excellent. Very helpful and answers all questions. The price was the best I could find with the security I was looking for. I gotta day, the staff here is friendly and great! They have the best deals in town and the place is clean with great access. I would recommend to anyone needing some extra storage space! Facility is very clean and the staff was great. We got checked-in quickly without any hassles. Very happy!! Perfect for what I need. Secure, positive staff. Superb service with a smile ð Friendly and well informed staff, great prices, and offer a courtesy truck rental for move in. 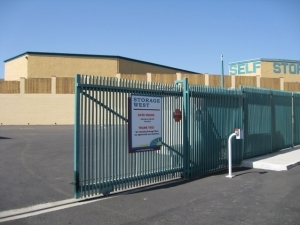 Storage West spring valley is clean, easy to find and has competitive prices. The front desk was very accommodating with my dates! I received amazing and friendly customer service. The lady answered all questions I had. It's in a nice area and it's affordable. Im really happy I went with this storage place. Really accommodating and welcoming staff! Thank you! I needed a unit ASAP and you were able to accomodate me. Extremely nice and knowledgeable staff!!!!! Very pleasant experience. Explained the rules ,regulations rights and info. Very thorough, friendly and all smiles!!! Staff is friendly, easy access to unit, upgraded to a larger size with no issues. Most Units are drive up and easy access. Units are not climate controlled if that is something you are looking for. 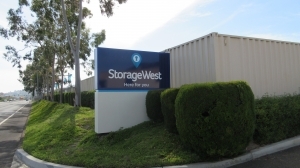 What makes Storage West - Spring Valley stand out from other storage facilities is - the people who manage it. It's a little farther away for me than several other facilities but I decided to check it out because of all the positive online reviews. I'm glad I did The staff is friendly, helpful and professional and Richard answered all my questions. 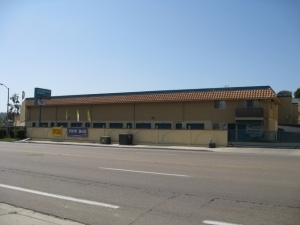 The units are very clean, the entire property is well secured & the prices are reasonable. I'm happy I drove the extra mile to find a great place to store my stuff!! These are boxes, not rooms, but are ok for what I needed. Clean, decent place. Nice people, helpful. 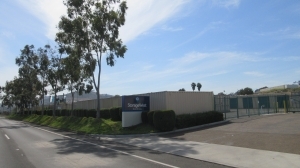 The management at this facility was extremely personable and welcoming, they care about their customers and their facility. 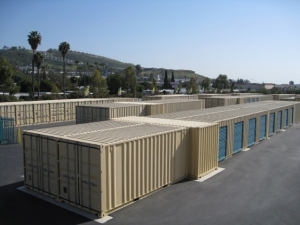 I would definitely recommend this facility to a friend and use it again if I ever need storage while stationed in San Diego. Your online team member new her stuff was very helpful matching my needs. The on-site management team ofMr.. and Mrs. Trapp made my experience an exceptional one. 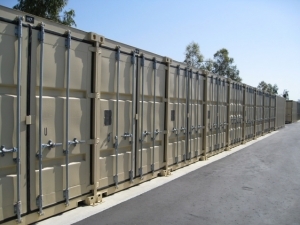 Clean and affordable storage with great customer service. Found this place while mucking around the interwebz trying to find a decent storage place that was still in range and was fortunate to come across storage west. Making a reservation was easy and I was in and out of the office after arriving. I was told everything up front, no hidden agenda. Thanks for being awesome! Great customer service and prices, i would definately recommend this place. I reversed a storage unit at another location and that fell through. The staff was very knowledgeable and helpful. Even though it was last minute and had a moving truck block their driveway they helped me comfortable. Good location very spacious. Friendly staff. Hours are convenient. I also like that this location has drive up access to gate and you don't have to get out of your car to punch in your code. The only recommendation I would give them is have a larger mirror or multiple mirrors at exit gate since vehicles going up ramp to other buildings have to use exit driveway also which is very narrow so vehicles leaving and vehicles turning left up the ramp will not be surprising each other. We were in the office for an hour and a half signing paperwork. The computer system was having problems and it was a long and confusing process to get the proper charges set. The office staff is great and were apologetic but it was a difficult process to rent. We had a small problem with the hasp and Tom said he'd gladly replace it the next time we were there! We were shown the unit and filled in on all the details thoroughly. This is the best price around!! Excellent pricing, great customer service, and they even offer a moving truck at no cost to customers. You can't beat that. Super friendly folks, free moving truck, my move went flawlesssly! Super friendly folks, free moving truck within 50 miles, great communicators and facilitators, my move went flawlesssly! 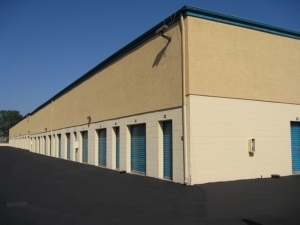 The other reviews were correct, and I would strongly recommend their facility for anyone looking for a storage unit in San Diego area. This place is awesome! The staff is very friendly and willing to go above and beyond to help you during a difficult and stressful situation that moving entails. I was blown away that I was even offered to borrow their moving truck at NO COST!! I took full advantage of that opportunity and truly saved my day in moving the remaining of my personal items all in one trip. Thanks guys you all rock!! There was a problem with my roll-up door, but the maintenance man worked very hard to fix it, so it could be locked. Both he and the manager are very friendly and helpful. I highly recommend this facility! These people understand customer service! Overall staff was very helpful. I appreciate the use of moving truck very much as well as the military discount. I found this place to be extremely helpful in helping me to meet my needs.. I needed to move a lot of stuff into storage in a big hurry, and Jackie was extremely patient and helpful in helping me. She was very helpful on the phone and in person. I underestimated how much stuff I had and then had to move to a larger unit. Jackie helped me get the very best price on the larger unit even though it meant working through more paperwork. She was beyond professional and kind. 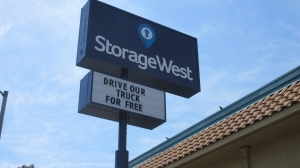 I am grateful for Storage West's outstanding service. This is the lowest price I've seen on a storage unit, and the staff was extremely friendly and helpful. The lock they gave me didn't fit on the unit's door at first, but one of the staff members fixed it in about 5 minutes so it wasn't a big deal. The moment I walked in I knew this was a good place to rent a storage unit here , Richard was very helpful with the paper work. The first one I rented did not fit my needs so Richard found one that did so I will be using them for a long Time. And I would like to thank Richard again for his help. This has been the best storage facility since I rented before. Staff very helpful and informative. The rate was good deal, the unit that I got is better than the other ones. It's good the units are ground level and with ramp, (otherwise hard for me to bring stuff upstairs). Did not expect, though, that there is no light inside, so I brought a lantern for good visibility.